Céline Chappert, our in-house graphic designer who lived and worked in Berlin prior to London. 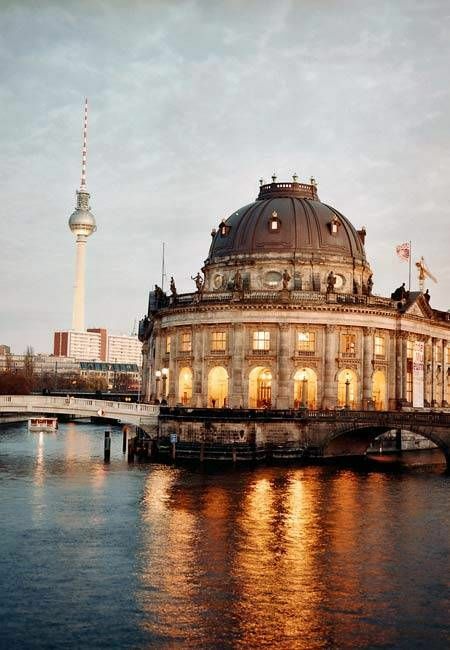 “Berlin has two faces: it’s desolate, yet beautiful. Poor, but very rich. Harsh, but so kind. I always miss it a little” says Celine with a smile. Below her favorite summertime tips to enjoy the German capital. Berlin is an airy city, very green, a little rundown, a little bohemian, but with a real good quality of life. And the nightlife is like no other city. The city is really, really vast and you spend your time cycling a lot to get places. Coming from Paris, the quality of bike paths seems incredible. Berlin is very ahead of the time, the town hall has just announced a new multi-million-euro bicycle development plan! There’s tons of cute cafes and biergartens to enjoy the sunshine. 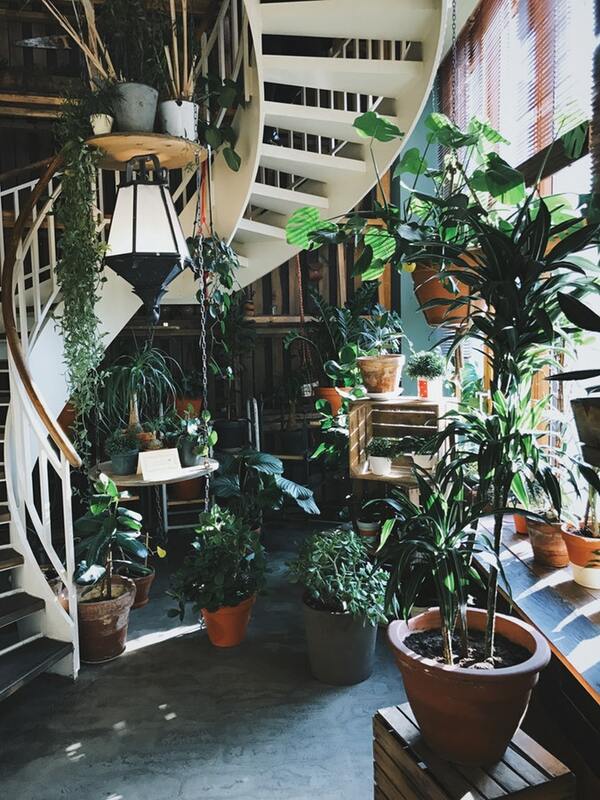 Even the plants make their way inside, like the interior of the House of Small Wonders with its signature staircase (and matcha latte! ), pictured below. Berlin is a very green city, it’s easy to feel like you’re in nature even in the middle of the city. First, there is obviously the huge Tiergarten park, almost a forest, close enough from the city center. It's stunning to cycle through. 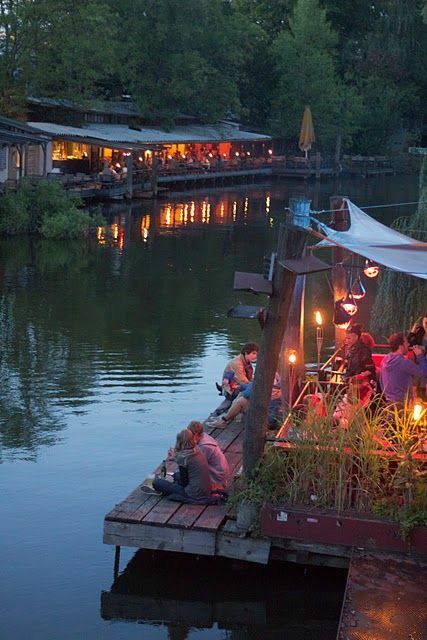 Very beautiful and open all year, you can spend a good time in the biergarten of Café Am Neuen See located inside Tiergarten: wooden tables set in nature around a small lake and some fairy light for the atmosphere. Then Tempelhof Park (even bigger than the Tiergarten) is a old airport reconverted into a public space. In a referendum held in 2010, Berliners voted 65% for its transformation into a park rather than for the construction of new housing. You’ll find Berliners casually eating grilled sausages on the huge lawn and cycling/jogging on the landing strips. On Sundays, you have to go to Mauerpark. 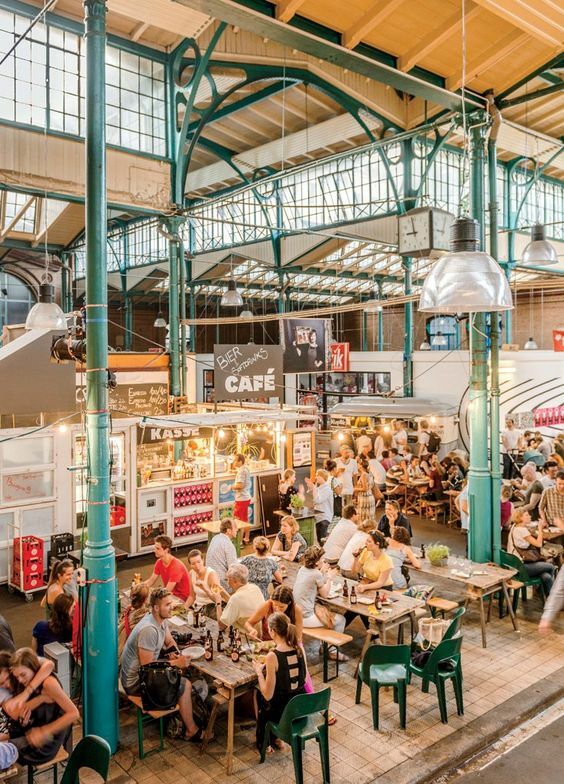 A large flea market is held there, crowded with designers, resellers of vintage items and a few food stalls. On the lawn side, people picnic in the middle of budding acrobats and Sunday musicians. An open amphitheater hosts a traveling karaoke, showcasing amateur singers from around the world. If you have a full day, I recommend going to one of the lakes. Schlachtensee is direct from the city on the S-Bahn (1hr) and offers a peaceful city escape, the water is clean to swim and you can rent paddle boards and boat by the hour. Sage is located in the middle of nowhere in the industrial part of Kreuzberg. As a former factory refitted on the very front of the river, it has a very nice terrace. I love taking new friends to the Cantina (picture below left) restaurant inside Tausend. 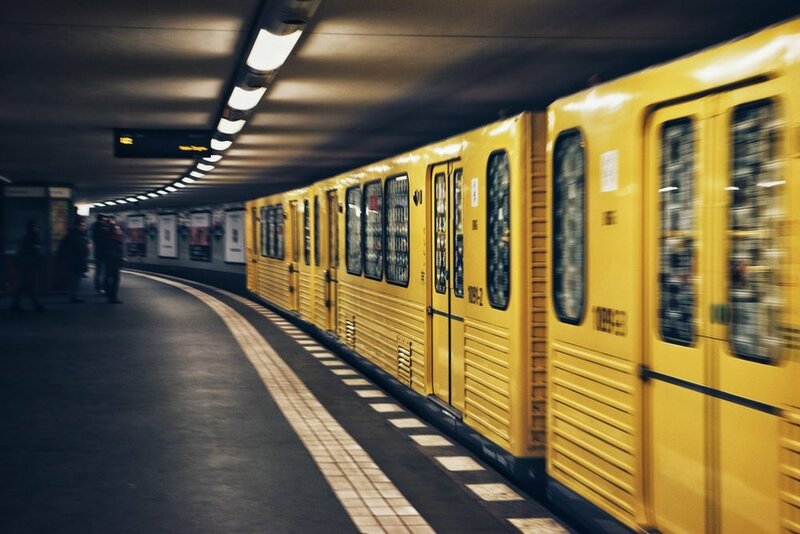 Tucked under the train tracks on the other side of the river from Friedrichstrasse Station, it is almost impossible to spot the entrance if you are not fully paying attention… But behind the little door is an extremely slick and creative décor. 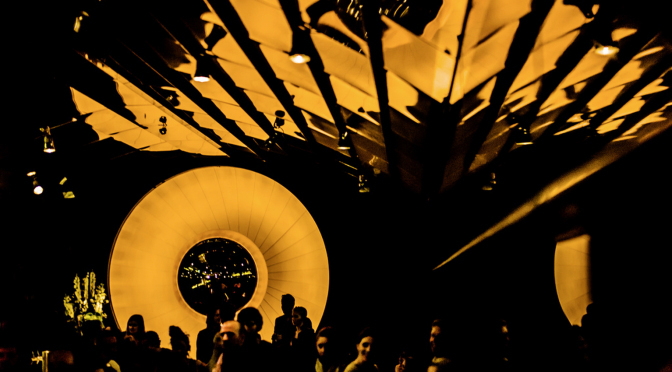 There is a giant light fixture/mirror in the format of an eye to the right and the curved ceiling is completely mirrored leading to the stage area on the right hand side. More affordable and an excellent quality-to-price ratio for Vietnamese curries is Hamy’s located on Hasenheide. For a drink I recommend Das Hotel in Kreuzberg, for the best artisan casual drinks in a quaint candle-lit décor. Well obviously the never-ending techno-fueled nights at Berghain. Nights like these can only be found in Berlin.. But sometimes I prefer a (slightly) less wild night dancing at Kater Blau, where I can alternate between the dance-floor and watching the sun slowly rise above the U-Bahn tracks. And lately there’s some really interesting art scene developing at Anomalie in Friedrichshain. More low-key, but perfect to start your night when it’s warm is the Pampa Holzmarkt located on the river. 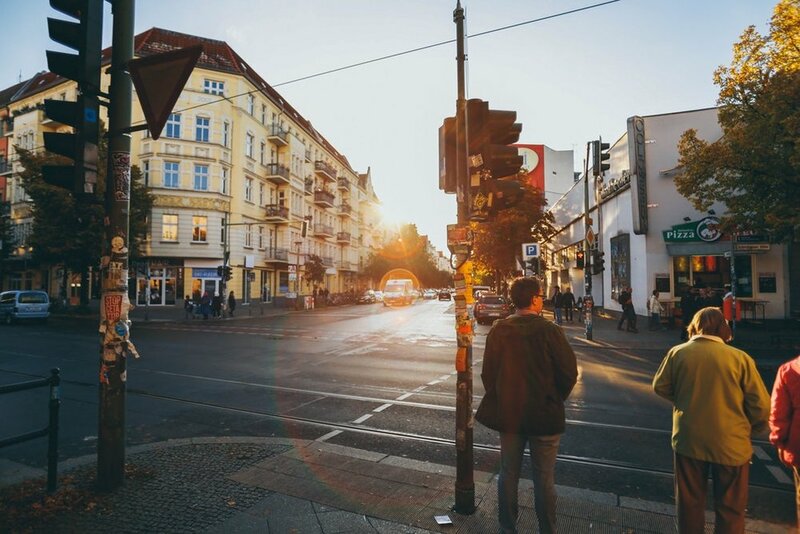 Alternatively, you can admire a stunning panoramic view of the city from Klunkerkranich, a reconverted parking lot located on the top floor of a shopping center in Neukölln. Liquidrom (picture above right), a wellness spa centered around a domed hall with warm salt-water pool and underwater music. Berlin has a lot of amazing swimming pools. Some of my favorites include the pool inside Oderberger Hotel (pictured below) and the Stadtbad Mitte for its impressive Bauhaus architecture and yoga courses.